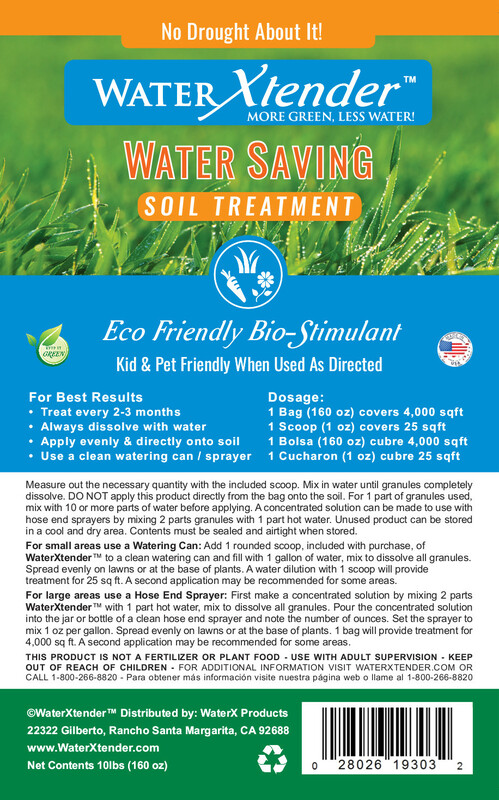 WaterXtender is proven effective at keeping lawns green and healthy through active soil bio-stimulation. Supported by scientific evidence and multiple studies, WaterXtender does the job of your brand name fertilizer through natural processes while also conserving water. The powerful patent formula feed plants through nutrients from aerobic activity in the soil. Keep your lawn green in times of drought! 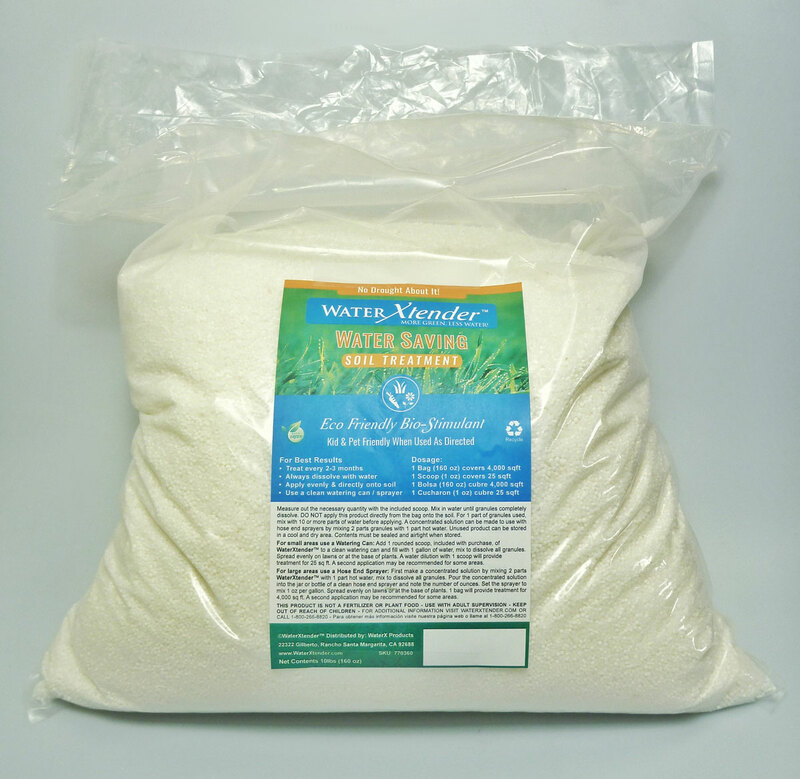 For small areas use a Watering Can: Add 1 rounded scoop, included with purchase, of WaterXtender to a clean watering can and fill with water to make 1 gallon, mix to dissolve all granules. Spread evenly on lawns or at the base of plants. A water dilution with 1 rounded scoop will provide moisturizer for 25 sq ft. A second initial application may be recommended for some areas. For large areas use a Hose End Sprayer: First make a concentrated solution by mixing 2 parts WaterXtender with 1 part hot water, mix to dissolve all granules. Pour the concentrated solution into the jar or bottle of a clean hose end sprayer and note the number of ounces. Set the sprayer to mix 1 oz per gallon. Spread evenly on lawns or at the base of plants. 1 bag, or 160 ounces, will provide moisturizer for 4,000 sq ft. A second initial application may be recommended for some areas.